DEARBORN, Mich., – Ford is investing an additional $4.5 billion in electrified vehicle solutions by 2020 as well as changing how the company develops vehicle experiences for customers – all to make people’s lives better by changing the way the world moves. Ford is adding 13 new electrified vehicles to its portfolio by 2020, when more than 40 percent of the company’s global nameplates will come in electrified versions. This represents Ford’s largest-ever electrified vehicle investment in a five-year period. On the way next year is a new Focus Electric, which features all-new DC fast-charge capability delivering an 80 percent charge in an estimated 30 minutes and projected 100-mile range – an estimated two hours faster than today’s Focus Electric. Ford’s shift to add electrified vehicle solutions answers increasing global trends calling for cleaner, more efficient vehicles. Ford also is reimagining how to set itself apart in the marketplace by focusing on the customer experience and not just the vehicle itself. The company is changing its product development process to support the shift. For news releases, related materials and high-resolution photos and video, visit www.media.ford.com. In addition to traditional market research, Ford is investing in social science-based research globally, observing how consumers interact with vehicles and gaining new insights into the cognitive, social, cultural, technological and economic nuances that affect product design. Next year, Ford is doubling the number of projects that use ethnographic research versus this year. The team of social scientists already has spent months exploring topics such as the future of luxury transport, how people form relationships with their cars and the role of trucks in the American heartland. ReD, a social science-based strategy consultancy, has been innovating with consumer goods and pharmaceutical companies for a decade. ReD started working with Ford – its sole automotive client – in 2012. During the past three years, the team has invested more than 4,000 hours with thousands of vehicle users in more than 25 cities worldwide, taking 80,000 photos, nearly 3,000 hours of video and more than 8,000 pages of field notes, feeding countless insights to improve the product creation process. “For 70 years, market research has been done by asking people for their opinion. Another new twist to the product development process is that designers no longer just sketch products but also full customer experience illustrations that visualize the experience each product is meant to deliver. The series of vignettes define a unique user journey that seamlessly integrates both hardware and software experiences. This user experience design technique also plays an important role in developing the Ford Smart Mobility plan, which is designed to take the company to the next level in connectivity, mobility, autonomous vehicles, the customer experience and data and analytics. 2b2, hbmf3 and Bloggin like this. Last edited by Bloggin; 12-10-2015 at 10:43 PM. TY for finding & posting that, Gjrip! Last edited by 2b2; 12-10-2015 at 08:28 PM. ...The Dearborn automaker said Thursday it will invest $4.5 billion in electric vehicle research and add 13 new EVs by 2020 in an effort to give customers greater choice and to conform to strict federal fuel-efficiency standards. It’s Ford’s biggest investment over a five-year period in the technology to date. ...In 2012, Ford moved to lithium-ion batteries from nickel-hydride. The company recently expanded its EV offerings to Taiwan and Korea, where Ford offers the Mondeo hybrid. Ford also announced it is bringing the C-Max Energi plug-in hybrid and the Mondeo hybrid to China. The automaker hinted that it will reveal an electric vehicle at the 2016 North American International Auto Show. 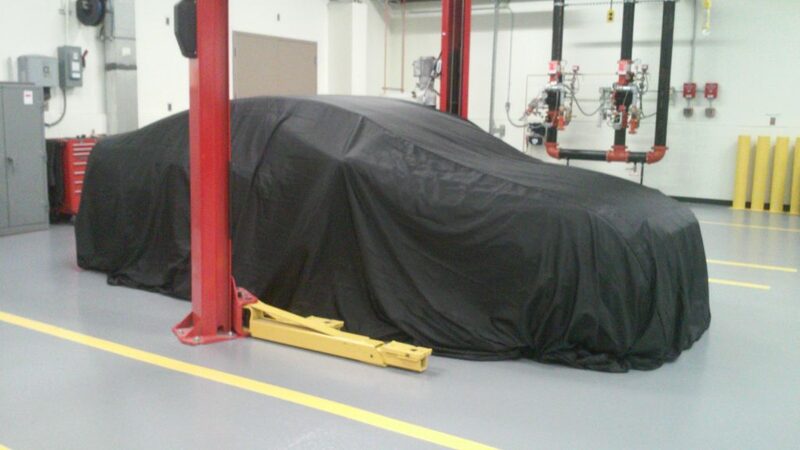 A vehicle that resembles its Fusion Energi was covered in a black tarp. Last edited by 2b2; 12-10-2015 at 09:05 PM. I think Lincoln's 2nd new nameplate at the end of the decade will be related to the dedicated Ford Hybrid. 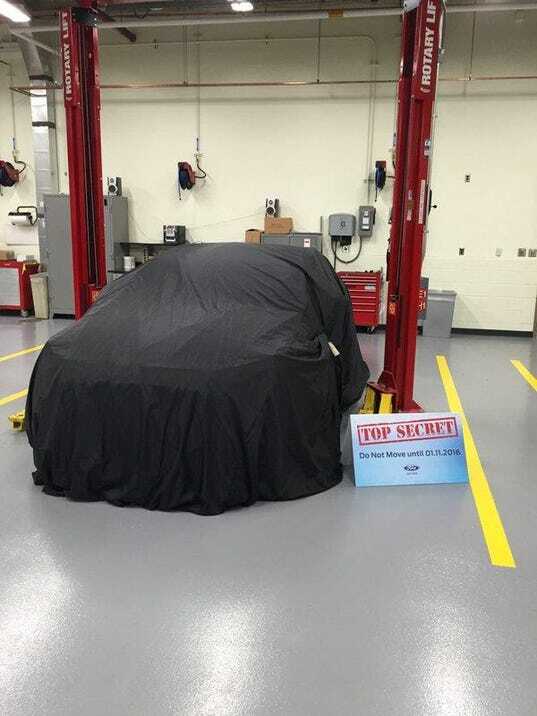 There is the long rumored F-150 hybrid. Fusion will need to make some significant advances to be competitive, although those advances were not announced alongside the MKZ Hybrid which is curious. You have to be a little insane to buy the Fusion Energie with the Volt around for the same money with many more times the range. 2b2 and Samesun like this. ...You have to be a little insane to buy the Fusion Energie with the Volt around for the same money with many more times the range. imho SOooooooooo much depends on the individuals' uses/wants. 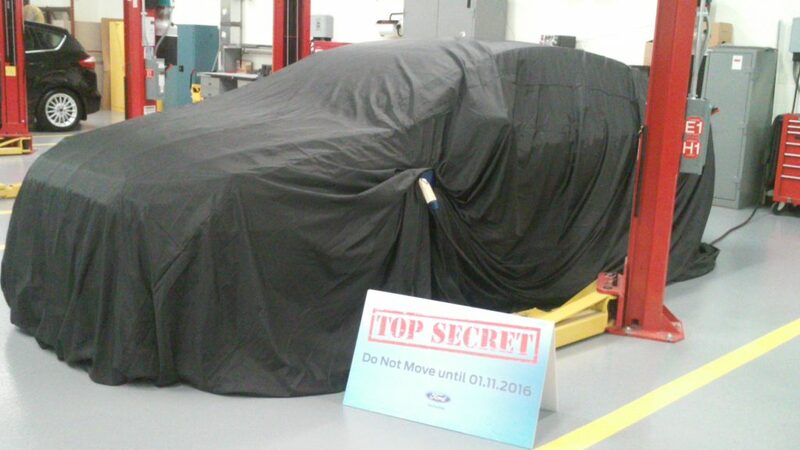 Is A New Ford Fusion Electric On Its Way To Detroit? You know that thing where people “cut the cord” to get away and relax? Ford is doing the opposite between now and 2020, positively wrapping itself in electrical cordage and dumping $4.5 billion into “electrified” vehicles. The automaker promises the money will go toward battery research and 13 new vehicles over the next five years. Details as to which vehicles will count toward Ford’s 13-car claim are forthcoming, but the automaker’s use of the term “electrified” offers a clue that not all of the cars will be fully electric. Instead, we expect Ford’s next wave of hybrids and plug-in hybrids to make up the lion’s share of the 13 cars, which could include some vehicles not sold in the U.S.
To wit, Ford’s Fusion sedan is ripe for a refresh—and is expected to debut as a 2017 model at the upcoming Detroit auto show—and it has hybrid and “Energi” plug-in variants. That’s two down. Next up, Europe’s updated C-Max could beget refreshed C-Max hybrid and C-Max Energi plug-in-hybrid models here, too; scratch two more off Ford’s list. Ford itself has announced an updated Ford Focus EV full electric will bow sometime next year with DC fast-charging capability and a 100-mile driving range. As for the other eight cars, Ford could choose to count the freshly updated 2017 Lincoln MKZ hybrid—and even add a plug-in variant—as well as toss the Fusion hybrid’s powertrain into the Escape to match Toyota’s new RAV4 hybrid crossover. Previously third-party up-fitted electrified commercial vehicles (box trucks, etc.) could be brought in-house, too. That still leaves room for either a few previously un-hybridized vehicles to join Ford’s electrification party, or perhaps a new full-electric. We do know that Ford is working on a dedicated-hybrid Prius fighter, so knock another car (or two, if a plug-in version is counted separately) off the list. As for the rest, we’ll just have to wait and see. "On the way next year is a new Focus Electric, which features all-new DC fast-charge capability delivering an 80 percent charge in an estimated 30 minutes and projected 100-mile range – an estimated two hours faster than today’s Focus Electric." With MY2017 Focus Electric maintaining the current body style, gaining 25 more miles from the battery pack, while needing to reduce it's size and reposition the pack so it's not taking up the cargo space is a big deal. This means all current electrified models are getting an EV range boost as well. And now it's clear that Ford is willing to invest in 'current' platforms to boost EV range, what's under the black cover could actually be the 2017 MKZ Energi that everyone has been waiting for. Notice the extra cladding on and around the hood and along the sides of the vehicle. If this was the refreshed Fusion, none of that would be needed, especially along the sides. Further more, looking closely at the top of the grille....there is no indention where the Ford logo sits for a Fusion. But there is no Ford logo on the top of the grille of the 2017 Lincoln MKZ. I think Ford is about to steal the show again. 100+ mile EV range Focus Electric with DC fast charging. Price should drop another $2-$5k also. 30+ mile EV range C-Max, Fusion and MKZ Energi models. Lincoln needs a plug-in vehicle now. This makes sense, as Ford is preparing to export the Focus Electric, C-Max to other countries, and they need to be able to compete on in the global marketplace. Today....they are behind. 2b2 and hbmf3 like this.